Companies like Tesla, Otto and Waymo have been working on autonomous trucks for years. In 2015, the first semi-autonomous truck was placed on the road by Mercedes-Benz. Self-driving trucks are expected to become the norm in the near future, but plenty of steps remain to be taken. The use of self-driving trucks could lead to an estimated $300 billion saving within the industry. By 2020, 10 million self-driving cars are expected to be on the road and there will be more than 250 million ‘smart’ cars. Today, several automotive companies have already implemented self-driving features on their vehicles. These vehicles are capable to absorb data from its environment and to learn and respond to what the data is telling them. This is possible by using machine learning and a system of sensors, cameras and software. We also see this in the transport industry, where the possibilities of self-driving trucks are being tested in real life situations by manufacturers like Tesla and Otto. Google’s Waymo has already logged the equivalent of 300 years of driving experience since 2009. Waymo promises to free up our time, lower stress, safer routes and improved transportation. Their CEO said that self-driving trucks may emerge before self-driving taxis. Even supermarket chains see advantages in autonomous trucks. They are checking the opportunities. F.e, supermarket chain Lidl will test autonomous delivery together with Swedish startup Einride. It will be impossible to fully replace the driver on the spot. Yet, the semi-autonomous trucks that are being developed at present do achieve level 4 automation. This means that the truck can take care of all operational and tactical decisions related to driving, but they can only operate under certain conditions, such as clear weather or light traffic. The next level is level 5, which is the level of full automation. Trucks operating at level 4 are already being tested around the world. Some well known examples of the use of level 4 automation. Platooning - trucks group and drive in a so called 'train mode'. The driver of the front truck drives his truck, the following trucks are driven by an AI-system which is connected to the truck in front of it. When drivers alternate who is in the lead, they can drive for multiple days in a row. Platooning can be done by the drivers themselves, but it is done more efficiently by an AI-system. The reaction time of a truck driver when a car or truck in front of him brakes is 1.4 seconds. The communication between the AI-systems is 0.1 seconds. This is a difference of 1.3 seconds which means 32.5 meters at a speed of 90 km/h. Researchers discovered that the fuel usage of the following trucks is reduced by 10%. Highway-driving - Trucks drive autonomously on the highway. This gives a lot of opportunities. 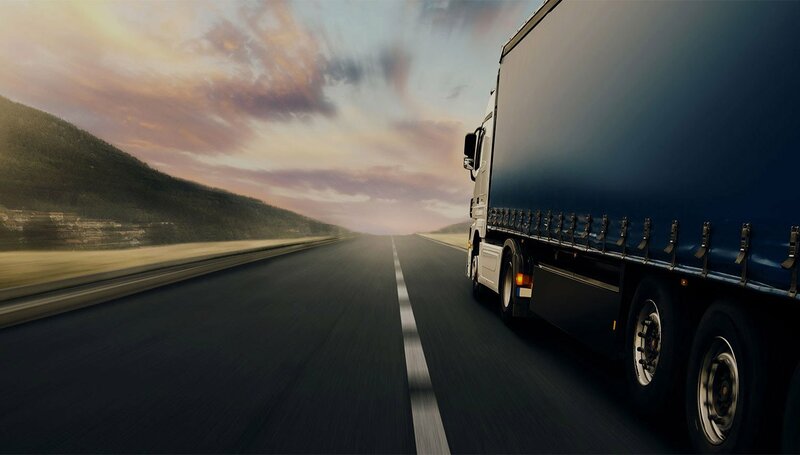 The driver can save time by doing paperwork while the truck drives him to the next destination, instead of doing it at the destination itself. Another opportunity is when the driver needs to rest, he can let the truck drive. This can be important and time saving. In Belgium, this option would be particularly interesting as the government has closed several motorway parking areas, which forces transport companies to take inefficient routes to find a fitting resting place if they want to respect regulations. Using autonomous trucks circumvents this problem because the drivers no longer need to look for a resting place. Today, trucks that move slowly in an environment with low traffic can ride fully automatic. An example is the autonomous garbage truck. Volvo designed a garbage truck that drives fully autonomous from one garbage container to the next. The truck covers a pre-programmed route. The use of sensors prevents collisions with objects on the route and makes the truck stop immediately when an obstacle, like a pedestrian, suddenly appears on the route. Full-Autonomous trucks are also used on private areas. Places where the site can be mapped and where the environment does not change significantly are ideal places to let the trucks drive autonomously. We see this in several mining areas. An advantage of autonomous trucks, and vehicles in general, is that they are expected to improve traffic flows. Tasks executed by humans contain inefficiencies. This is something that will happen less frequently with tasks executed by well-programmed robotics. We will also see this in traffic. When one driver hits the brakes or slows down, the vehicles behind him often react too aggressively. This causes a chain reaction which will lead to congestion. Self-driving vehicles could solve this. Even when they are semi-autonomous, for example by using Adaptive Cruise Control. These cars will always react in a good, almost perfect way. On top of that, autonomous vehicles can ride closer to each other, which reduces the congestion in length. Recent extensive research, picked up by de Standaard, indicates that even a low percentage of autonomous cars / traditional cars will result in a significant decrease of traffic. Truck drivers are scared to lose their jobs, but that will not happen in the near future. The truck driver must still be present in the truck to take the wheel. For example, at places where unloading and parking takes place, a driver is still needed to unload the truck and to drive through a busy port or back up to a loading dock. The government has to reform the legislation. Especially the liabilities in case of an accident with an autonomous truck are not clear. Even when fully autonomous trucks will hit the market, truck drivers will be assigned to new roles. The drivers will not become jobless. Their role is just going to change. For example, full-autonomous trucks need a centralized control terminal. Here, the experience of the drivers is essential to monitor the trucks and to remotely control the trucks if necessary.